Leuke kaart met mooie tekst! I adore the background and how you have achieved the ripple effect Gerrina ansd the Ballerina stamp is a beautiful, lovely card for your Sister, many thanks for joining us again at Penny Black and More and Stamping Sensations challenges. Beautiful card Gerrina. Everyone needs a little bit of confetti everyday. Prachtige kaart voor je zus Gerrina! What a lovely card - love all the dancers, and the wonderful fun sentiment! 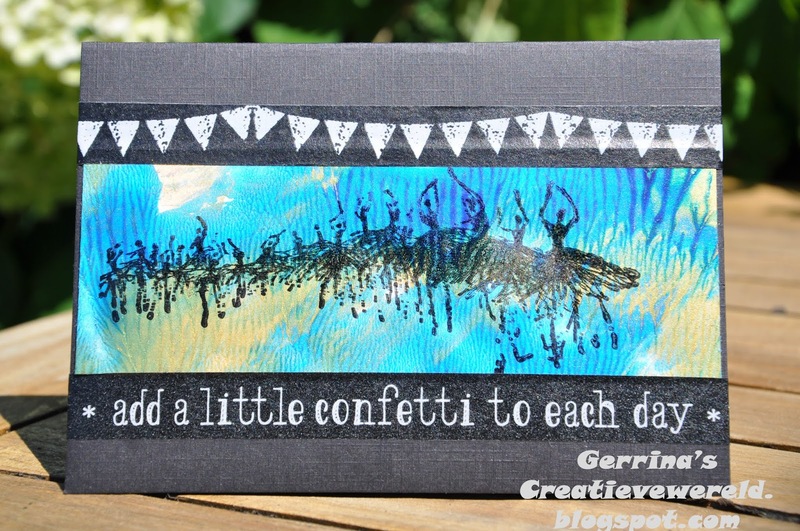 Pretty card, love what you did with the gelli plate! 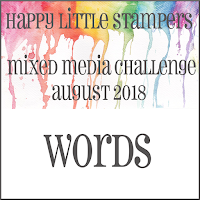 Thankyou for joining us at Happy Little Stampers Mixed Media Challenge this month, All the best and we looking forward to more from you in future.